Describe your role. 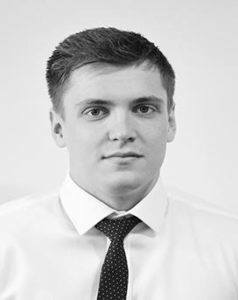 I began as a Trainee Quantity Surveyor, after having spent two and a half years at another firm, and initially I was working alongside a managing surveyor to learn and to provide support. I then progressed to Assistant Quantity Surveyor and then to Intermediate Quantity Surveyor, which means I am responsible for my own projects. It is always a challenging time when I have to overcome a problem that I haven’t encountered before, but I love working in a fast paced environment, and constantly meeting and interacting with new people. In 5 years I hope to have completed my degree, have undertook my APC to become Chartered and continue to progress higher up the ranks as a QS with Winvic. Describe working at Winvic in 3 words. Challenging, motivating and rewarding. Why construction? I was attracted to the industry because no two days were going to be the same. I’m not disappointed either, every project is different, with its own challenges and opportunities to learn something new. What attracted you to Winvic?They are a major player and work across a variety of sectors, so I knew the role would be varied and it would allow me to work on significant projects up and down the UK. However, I could really feel that you are much more than just a number at Winvic, and I couldn’t say the same about some of the other big contractors. Do you have any advice for people wanting to join Winvic? Always ask questions. No matter how silly you might feel at first, no question is a stupid question and the team will support you. Those who thrive on a challenge and are prepared to be pushed fit in here at Winvic, it’s a company of people who want to learn and do the very best job.